The Sony Xperia Tipo is the latest addition to the Xperia smartphone range, and it's undoubtedly makes many people happier. 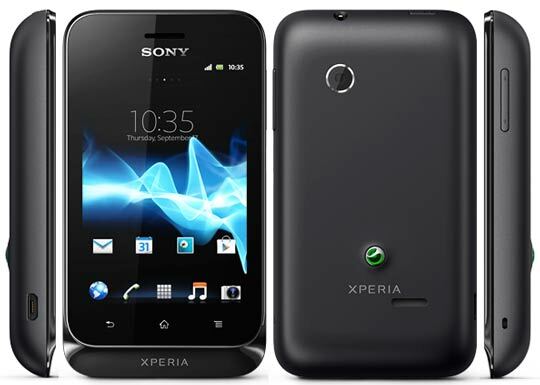 Because its price starts from $160 and there is also a dual SIM model of Xperia tipo is also available. Sony Xperia tipo comes with an 800MHz single-core processor, 512MB of RAM, 2.5GB of internal storage, a 3.2MP camera and a 3.2-inch 320 x 480 display. It measures just 103 x 57 x 13mm and so fits neatly in a pocket. It weighs only 99.4 grams. The Tipo will appeal to people on a budget who want to grab a more up-to-date version of Android than can be found on the majority of budget droids. It runs Android 4.0.3 Ice Cream Sandwich. Xperia tipo is one of very few handsets at around this price point that currently runs Android 4.0. Sony Xperia tio is now available in Bangladesh just for 17000 taka ($207). And if you are willing to buy the dual SIM version they you have to 18000 taka ($220). But interestingly Amazon is offering factory unlocked Sony Xperia tipo dual at a higher price of $270. Check that out if you wish to.